The pool has always provided freedom of movement, removing the shackles of gravity. I love how my body flows effortlessly through the waves. A considerably strong swimmer as a youngster, endurance always trumped speed. I took swim lessons, yet the Olympics never came calling. Conquering my Junior Life Saving test, at the age of 12, was a grueling accomplishment, and one I was quite proud of since no special “tweeks” accompanied this test. I may never have been able to beat ya, but I could have saved ya! As an adult the water is still a refuge, only with more parameters than when I was a kid. It’s less play, more purpose. And, I hate to admit it, but the art of “swimming” has now evolved into a high maintenance activity. The pool depth needs to be 4 feet- 4.5 feet deep, allowing my feet to easily touch the pool floor when walking. Next, strapping 7 pound weights to each leg assures that they will stay on the pool’s bottom. The water temperature must be a balmy 88-90 degrees to prevent muscle cramps while a water belt ensures safety and buoyancy. Last, but not least, trainer Bob reliably gets me from wheelchair to water. An exhausting ritual which consumes precious energy before any body part hits the water! Even with these restrictions, the pool still allows me freedom comparable to nothing else. This is why finding the right pool is non-negotiable. For most, this is an easy, no brainer. For me, finding the correct depth combined with the correct temperature is imperative. My dad makes me laugh because he willingly joins in on this crazy quest by confidently dropping his own “thermometer on a string” into the pool up for consideration. He’ll randomly stand there, and after five minutes, real in the string with thermometer, and walk away. I can only imagine what lifeguards and others are thinking…and I bet they’re too perplexed to ask. Just like Goldilocks, some pools are too deep, while others are too cold. After sampling many pools with the help of my father, over the years, I finally found one that was JUST RIGHT! 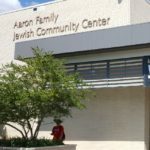 The perfect pool for this Catholic girl was the one found at the Jewish Community Center of Dallas. Oh, the irony! As a native Dallasite, it was a little embarrassing to be clueless about this precious gem in the heart of the city. My first thought was…why don’t Catholics have such spectacular facilities to work out in? 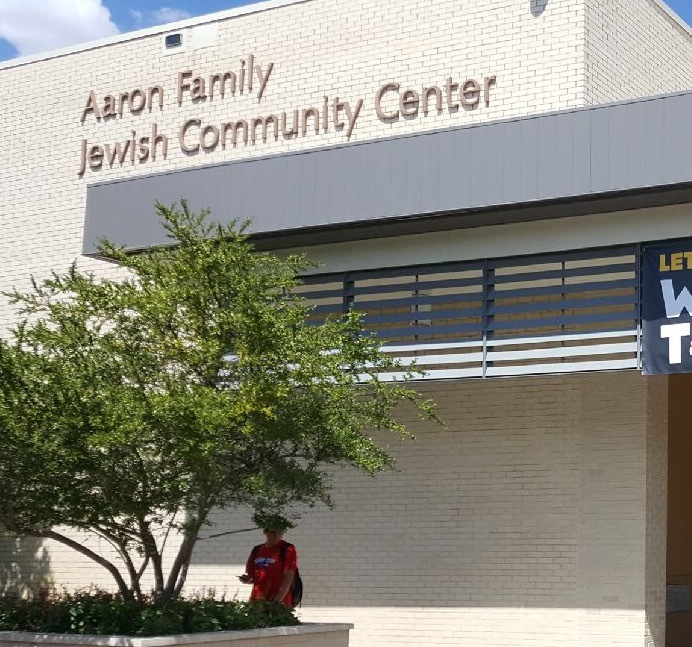 Even though the location of the Jewish Community Center’s warm water therapy pool was a 20 minute drive both ways from my house, I joined as quickly as possible. Luckily, I was privileged enough to take advantage of their one year, half price Black Friday special. 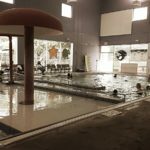 A Entering the pool mandated a harrowing detour through the JCC locker room where I found myself traversing through a “Golden Years” water aerobics class openly changing out of their bathing suits. As I kept my eyes fixated on the red exit sign straight ahead, the open door to the pool area greeted me with a direct view of two indoor pools and a more distant one outdoors. The only one I cared about was the smaller of the three…the warm water therapy pool! Of the three, the tiniest pool had the most action. Entertaining toddler swim lessons were held on the right side while, to the left, gathered an extremely social geriatric crowd. I would be the pickle in the middle. But, I didn’t care. I just wanted to go through my ritual so I could get to the water. The 90 degree pool did not disappoint. As Bob helped me in, there was a collective sigh between us. A utopian AHHHH, I was so thrilled to find a pool that worked for me and a place where I could challenge my body. Challenging my body created other challenges since my darn SI joint was still giving me grief. I could feel my body getting stronger though. 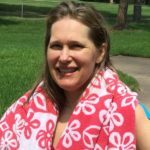 When my SI was stable, my body welcomed the stretching, walking, and swimming, allowing for sizable improvements. But, some days were better than others. I know there’s no such thing as an unsuccessful trip to the pool, yet sometimes disappointing when things didn’t go smoothly especially since it took so much time and energy to get there. Pushing through these frustrating days might mean less reps or varying exercises, but the primary adjustment to be made was probably my attitude. On one particular afternoon, my pain was getting the better of me. Head down, I forced myself to walk my laps as tears streamed down my face. I just couldn’t get it together, but I refused to quit. Not even the swimming toddlers could spark a smile. Bob compassionately body blocked me from the view of others as he encouraged me to move on. As I glanced up every so often, I noticed a young woman in her twenties staring at me. I guess I wasn’t as conspicuous as I thought. 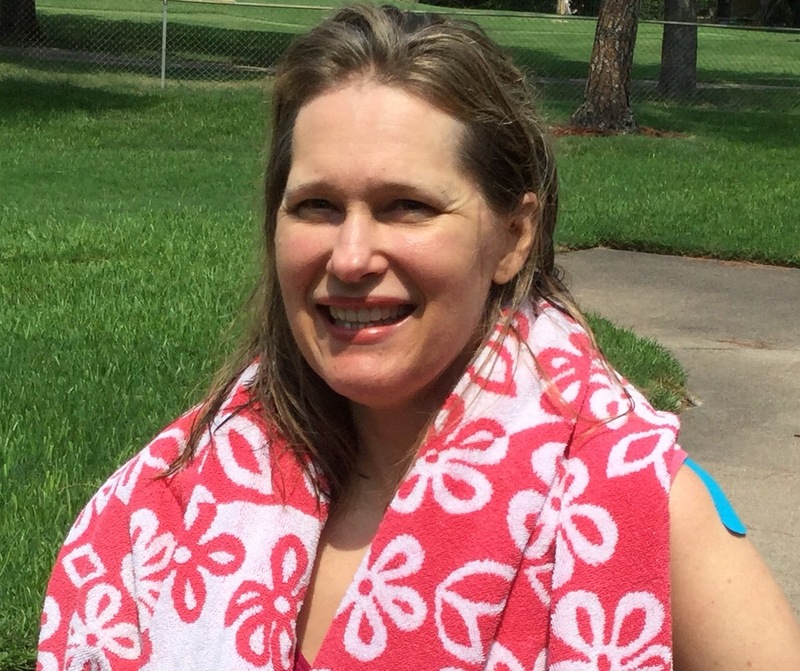 Her brown, shoulder length hair fell on her neck which tied back a one piece bathing suit. Oversized glasses slide down her nose as her googly eyes caught glimpses of me. Every time I looked up, no matter what direction, she was there. I wasn’t in the mood to deal with her socially awkward behavior which seemed to lack boundaries, but mustered a smile. Hopefully that would satisfy her. Nope! The staring continued as she circled around me like a moth to a flame. I stopped. As I looked up, she pounced on her cue. Leaning in towards me with a big smile, she blurted,”You can do it!” God’s presence immediately engulfed this humbling moment. I thanked her. She was exactly what I needed to bring me out of my small self and continue with my head held high. 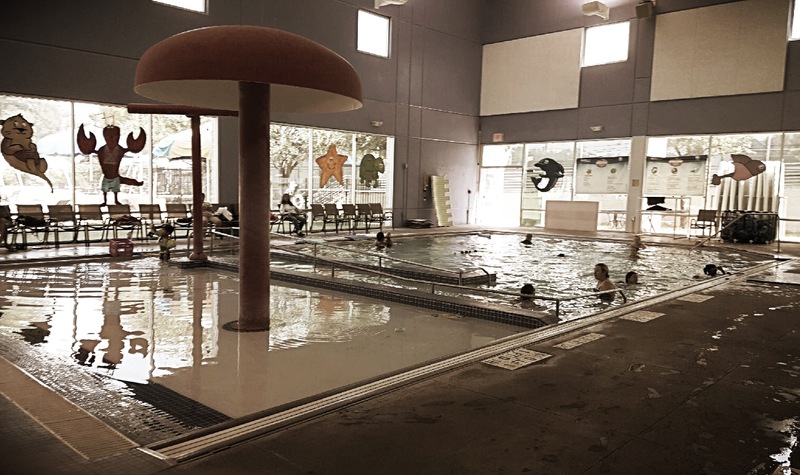 Even in the middle of a Jewish pool, this Catholic girl found an angel in a time of need. God knew exactly what he was doing when he placed her there. You just never know what God has in store. That’s why it’s so crucial to move forward with an open heart, in life, while taking ”strides of faith”. * If you would like to receive a free subscription to Laurel’s blog, Strides of Faith, enter your e-mail address in the box under “Don’t Miss My Updates”, and new blogs will be sent directly to your e-mail.